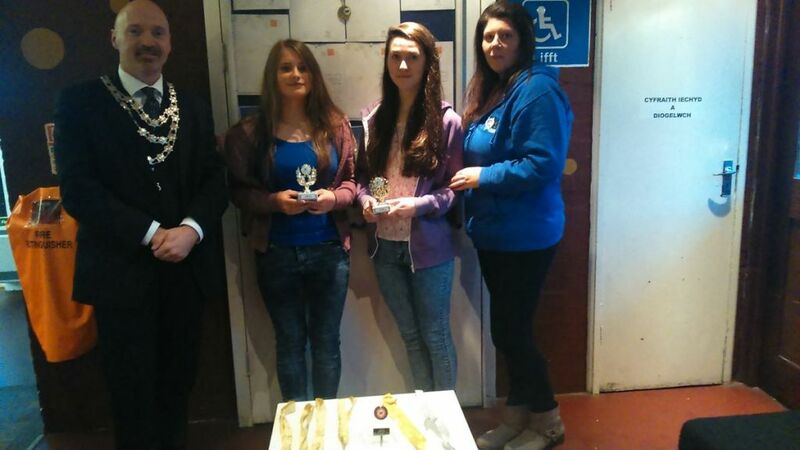 Neyland Youth Club Members, Elleena Duncan and Sequoia Smith, have recently taken part in the ‘Get Cooking’ Competition. They travelled to Port Talbot with Neyland Youth Workers Andrea Evans-Jenkins and Sarah King for the regional finals. This was the fourth time Elleena had entered the competition and Sequoia’s third, each year they have secured first place in the Pembrokeshire heat and for the last three years come runners up in Newtown. In this year’s final the girls won with their two course meal consisting of a Spicy Crab Cakes starter and a main course of Chicken Murg Massalam, Jewelled Cous Cous and home made Tzatziki. The girls did extremely well considering they are both vegetarians but still managed to produced fish and meat dishes cooked to perfection. This entry was posted in Community news on October 29, 2014 by admin.